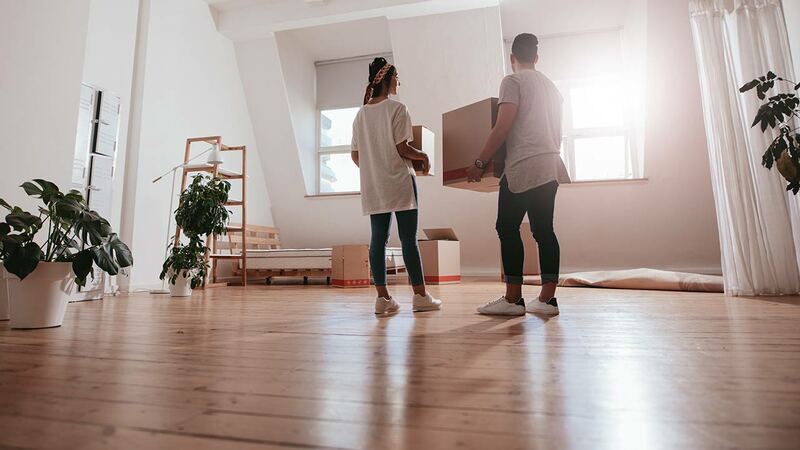 Taking the leap into the world of letting for the first time can be stressful especially if you don’t know how to correctly prepare your property. When you rent a house out, you are taking on a high level of responsibility not only for the property but also for the tenants who will be calling it home. It is important that before anyone moves into your property, you take all the appropriate steps to both meet regulations and make the house a suitable place for people to live in. In this blog we will be sharing our tips for preparing your property before tenants move in. With the responsibility that you are holding when letting your property, it should be an absolute priority to ensure measures have been taken to make the house safe. You should employ the services of a fully qualified, fully insured and accredited electrician to assess the electrics in the house, so that any potential hazards can be dealt with. You should also make sure a fire safety plan is in place. This includes correctly functioning smoke and carbon monoxide alarms and informing tenants of the fire escapes within the property. Following these steps will give you peace of mind that your tenants are safe in their new home. Your tenants will be less than amused if upon their arrival they discover problems throughout the property. That’s why it is essential that you tackle any issues long before anyone moves in. Whether it’s damp patches, wall cracks, leaky taps or other problems, you should ensure the house is perfect… it is going to be someone’s new home after all. By doing this, you are also showing your tenants that as a landlord, you care! When you begin to decorate the property, you must firstly forget about your own taste! It is important to remember that everyone has different preferences so bold colours and loud patterns are a no-go. It is a good idea to use neutral, light colours for the walls and floors. You should also keep the floors plain, using hard wearing carpet or laminate wood. This way everyone will be happy! For any further advice on how to prepare your property for tenants and to learn more about how we can help you find a tenant, call us on 01325 978970 or visit www.landlords2.com. Is Your Market Being Restricted by Your Agent? 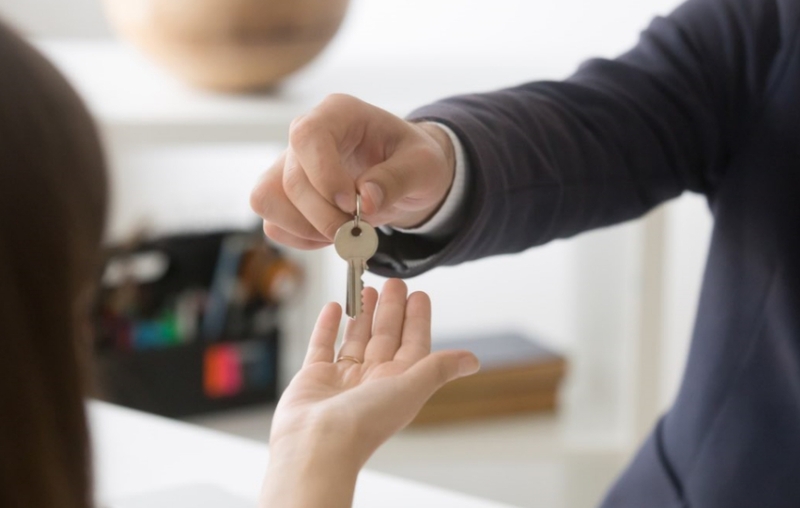 When you are a Landlord one of the main aims of your property management agent is to ensure your property management experience is smooth and your tenants are happy, so why are so many Landlords being restricted by their agent charging tenant fees? Did you know…here at Landlords2 we don’t charge those unnecessary tenant fees! 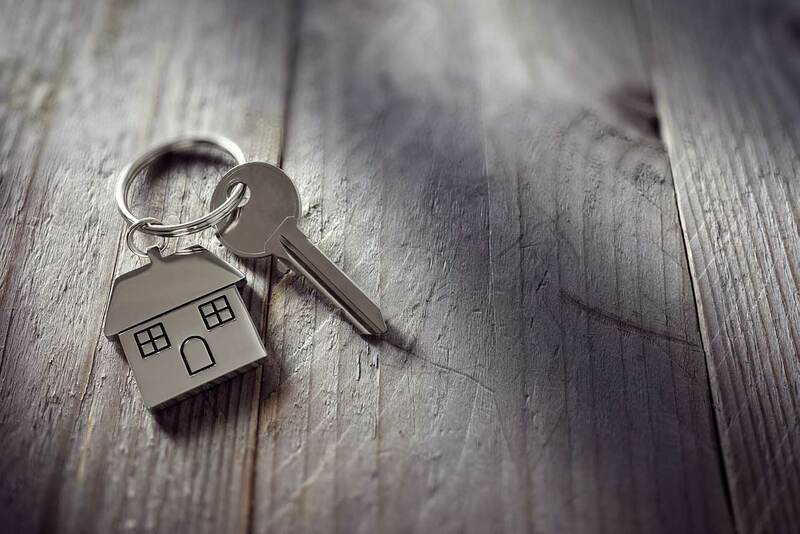 As a Landlord it’s important to make sure your property portfolio appeals to as many tenants as possible, and with more tenants out there surely now is the perfect time for Landlords. But what’s holding them back? Many Landlords have got into the mind set that administration fees are normal, but realistically they are restricting your tenant market and forcing you to lose out. In simpler terms, if a tenant was to see a property that charged them up to £500 in administration fees and one with no fees at all, which one would they choose? So why are landlords letting their agents pick the pockets of their tenants as well as their own! Here at Landlords 2 we do things differently, being Landlords ourselves we understand the importance of widening your market, which is why we refuse to charge any fees to your tenants. Not only are we helping you reach out to your perfect tenant market, but we are also helping you build your portfolio by welcoming tenants with no administration fees. The Best Letting Agent in Darlington. Its official, Landlords 2 are the best letting agent in Darlington. 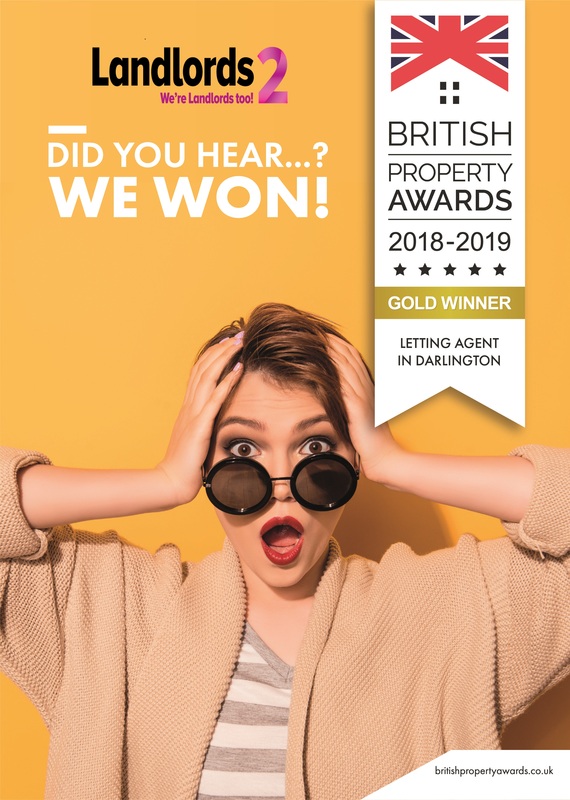 Landlords 2 have received the British Property Awards accolade for outstanding customer service following a series of ‘mystery shopper visits’ by BPA assessors. The British Property Awards team ‘mystery shops’ every Estate Agents, judging them against a set of 25 criteria to obtain a balanced overview of their customer service levels. The judging criteria are both comprehensive and detailed exploring different mediums, scenarios and time periods to ensure agents have been rigorously and fairly judged. Here at Landlords 2 we are proud to integrate with local businesses which is why we are going to be doing a series of blogs in which we discuss a business in the community who we are supporting. In this blog we are going to be discussing ATSAS, Accredited Training Safety Advice Service. ATSAS, owned by Marlene Robinson is a fully accredited first aid training provider that not only offers hands on classes but can also review your business for any risks and keep you compliant. Keep your business compliant and your employees safe by enrolling on this online Health & Safety course. The course is interactive and conducted by a virtual tutor who will focus on the specific areas you need. Every course is personal to each employee and the message is designed to be clear and precise. It can be hard to keep your skills fresh with the ever-changing business environment. That’s why you will benefit from a Business Skills Suite online course! The tutor lead one on one workshop adjusts to a pace that works best for you. The course covers a wide range of topics from core business skills to how to use social media effectively for your business. Extensive training is crucial for anyone who works in a health and social care setting. These online courses could be the help you need to keep your staff up to date with all the latest knowledge and skills. The interactive workshop can be downloaded at a time and place most suitable for the candidate. Subjects include infection prevention and control and safeguarding, and the courses are approved by the CPD. Top Tips for Keeping Your Tenant Happy! Whether you are a new landlord or an experienced one, each tenant is totally unique and requires different conditions. Your job as a landlord is to keep them happy and at ease during their tenancy. In this blog we are going to be looking into the best ways to keep your tenant happy. Communication is key when it comes to a successful tenancy. If a tenant requires something from you, whether it be advice or has a problem with their property, you must be able to respond quickly and deal with the situation in a professional friendly manner. You must also get into the habit of keeping consistent contact with your tenant to make sure they are happy, just a phone call every now and then makes a great difference. Even though you do not live there personally, your buy to let properties are your responsibility and sometimes its best not to wait until a tenant brings up a problem, instead you should deal with it early. Whether you have 1 property or a whole portfolio, arrange regular inspections in which you visit your tenant, making sure the house is in ship shape with no problems. This will show to your tenant that you care about the property and their wellbeing. The worst situation you can be in is for your tenants to be afraid to speak to you due to your manner. This will almost certainly lead to them not wanting to stay in the property once their agreement ends. Therefor you must be careful with how you handle yourself and always be friendly. If you have a new tenant why not send them a welcome present, it doesn’t have to be something big, but it shows you care. Communication will play a huge part in this and if you keep consistent contact it will show you are there if they need anything. Why Property Management Is the Best Way to Keep Your Tenants Happy! We understand keeping every one of your tenants happy can be tricky, if you have a large portfolio it can feel like you are juggling lots of things and you might not provide the best service. That’s where we at Landlords 2 come in… We are proud to offer a full property management service, for any number of properties. We can keep you compliant with the latest laws and legislation plus keep every one of your tenants happy. Meaning you can relax in the knowledge Landlords 2 have you covered.